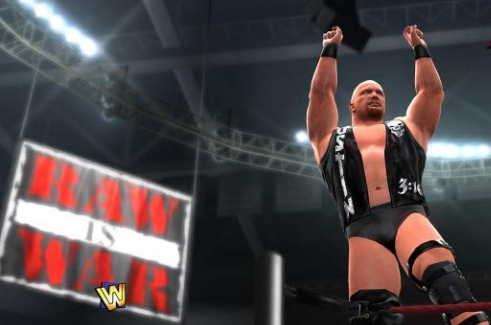 After all of the hype and promoting THQ has been doing for WWE ’13, fans may have been expecting a bit of a letdown. WWE '12 was easily one of the best wrestling games of all-time and hands-down the best current generation WWE game, but many wondered how Yuke's would do in there follow-up title. Fortunately for fans, the developer went all out once again and managed to create a familiar, yet completely new, experience that fans will be able to enjoy the entire year. With the introduction of great new features such as WWE Universe 3.0, Predator Technology 2.0, "Attitude Era" storylines and the largest roster to date, WWE ’13 is the premiere wrestling game of this generation of gaming, and it manages to improve from its predecessor in nearly every way. In a way, WWE ’13 is really two games in one. With WWE Live, players are getting a fantastic storyline that features plenty of insane moments, branching storylines and decisions that will actually affect the way you play the game and progress through the game's storyline. Yuke's actually brought in the mastermind behind Extreme Championship Wrestling, Paul Heyman, to assist in the game's storyline, so you know will feature some great moments and completely original ideas that are sure to resonate well with WWE fans. 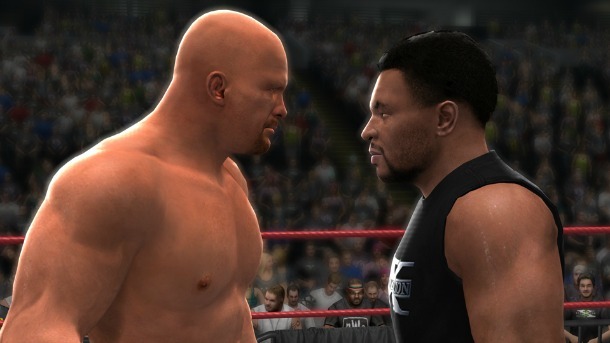 The Attitude Era has also been brought into the game's storyline that allows you to relive the greatest moments of former wrestlers like Degeneration X, Stone Cold Steve Austin, Mankind, The Rock and the Monday Night Wars. Both modes are a blast to play, and no matter if you've fallen out of the recent storylines in the WWE or are a diehard fanatic, you'll find a storyline right for you. Gameplay was probably the strongest feature in WWE '12, and in WWE ’13, this trend has definitely continued. The new game introduces players to Predator Technology 2.0--a new game engine that allows for a variety of animations during matches including reversals for finishers, Spectacular Moments and great controls that make WWE ’13 the most entertaining and realistic wrestling games ever. The game also manages to make the game authentic to the experience of watching or attending a live WWE event. Entrances are back once again and all stay true to their real life counterparts, while the new audio system goes even further to make you feel like you're actually there. You'll actually hear punches landing, slams echoing through the arena as matches progress and fans react to the in-ring action like never before. The announce team is high quality here as well, and Attitude Era fans will be pleased to know Yuke's is pumping actual audio captured from the events the matches are based on into each chapter of the Attitude Era campaign. WWE ’13 is the must own game for wrestling fans this year. The game manages to surpass its predecessor with a fabulous presentation that puts other sports titles to shame. The nearly flawless gameplay is only overshadowed by the great storylines featured in the game that will have fans running back to WWE Universe 3.0 over and over to create their own PPVs and other live events as they enjoy the action. WWE ’13 even allows players to create their very own superstars and download other players' creations meaning the massive roster is nearly infinite, and the developers have promised plenty of additional content is coming post-launch for the game as well. WWE ’13 is a blast to play alone or with friends, and with a strong community supporting the new title, WWE ’13 is a fun social experience that goes far beyond a simple wrestling game. Pick up your copy of WWE '13 today! WWE ’13 is now available from all major retailers for the MSRP of $59.99 and can be purchased for PlayStation 3 and Xbox 360. WWE ’13 is rated T by the ESRB for Blood, Crude Humor, Mild Language, Mild Suggestive Themes, Use of Alcohol & Violence. For more information on the game, check out the official WWE ’13 website.